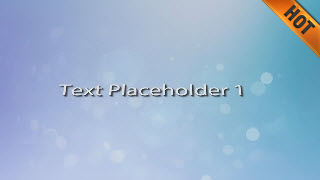 This is a freely downloadable text animation for Camtasia Studio 8. It was inspired by the text animations that TechSmith uses for their latest Camtasia Studio feature demonstration videos. 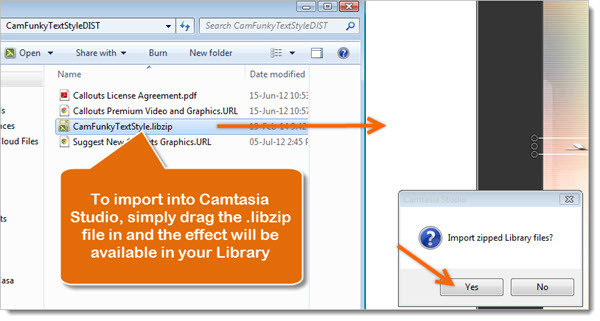 To use it in Camtasia, simply download and unzip the file, then import the .libzip file into Camtasia Studio by dragging it in and the text effect will appear in your Camtasia library, ready to use in any project. The music in the sample is not included in the project. It’s a stinger called Dance Fever and can be downloaded by Callouts members here. The sample video background will be released in March 2014 on Callouts. 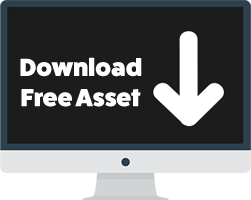 Hi, the download button doesn’t work. Hi Kelly, yes, I just confirmed it. You need to disable popup blockers to see the popup that shows up after clicking the button, otherwise your download link will not be sent to you.